In melodic rock these days, central locality to form the right partnership isn’t as necessary if you have talent, technology, and time at your disposal. Guitarist/bassist Paul Bonrud started Bonrud with vocalist Rick Forsgren, releasing their debut album on Frontiers Records. It didn’t matter at the time that Seattle, Washington and Saint Paul, Minnesota were their respective locales- their vision to produce high quality melodic rock with Journey and Foreigner as their inspiration led the band to acclaim and chart action in Europe and Japan. The follow up “Save Tomorrow” may have a new drummer Paul Higgins and a trio of keyboardists supplying their skills (Richard Baker, Eric Ragno, and Dave Gross) but the end result is pure gold for those of us who love the late 70’s to late 80’s AOR hit making years. The measuring stick of a great melodic rock album begins and ends with hooks- and “Save Tomorrow” swings plenty of them early and often. The title cut charges with Paul’s feel good riffing style as Rick Forsgren soars with his multi-octave high notes- transporting you back to the better Schon/Perry moments with Journey during “Escape” and “Frontiers” years- along with a touch of Jimi Jamison era Survivor. “American Dream” has a little of that old Michael Bolton (during his rock days) meets Aldo Nova feel musically- the right guitar squeals and licks that keep this mid-tempo arrangement catchy and in the pocket groove-wise. Paul also co-produced the 12 song effort with renowned producer Keith Olsen– who’s only worked with Fleetwood Mac, Foreigner, and Rick Springfield among others- so this has a potent, in your face sound with the emphasis in all the right places. 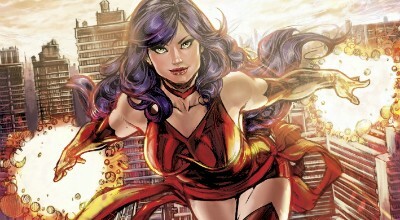 Only downside- the comic book caper cover art… this fine release deserves a better first impression than that. My current favorites include the made for radio “Torn Apart” and the Loverboy riffs meets Queen vocal harmonies for the closer “You’re The One”- but I didn’t hear a weak song out of the bunch. One you can play for the family for sure- and leave humming quite a few parts in the process- kudos to Bonrud and I can’t wait for what’s in store for future records. Here’s a great conversation over at the MelodicRock.com Forum about Save Tomorrow, join in and let other fans know what you think! 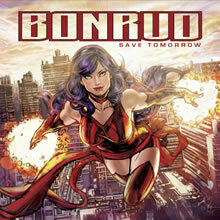 Read the Melodic Rock review of Bonrud’s self-titled CD. Paul Bonrud has spent the best part of a couple of years of his life writing and recording this – his debut album under the Bonrud moniker. In making the album he had guidance from legendary producer Keith Olsen, who mixed the album. Paul plays a good deal of the instruments himself, contributing with guitars, bass, keyboards, backing vocals and percussion. Also featured as part of Bonrud are lead vocalist Dave Hendricks and drummer Paul Higgins. 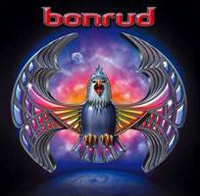 Bonrud plays a very pure blend of melodic rock and AOR, with a mix of guitars and keyboards supporting some fine 80’s melodic rock songs. The band could compare to the sound of Lou Gramm and Foreigner and Journey – with the album cover another nod to the influence of AOR’s #1 band. I can also hear a comparison to early Richard Marx, especially from singer Hendricks, but also including the band’s overall smooth and polished sound. Backing vocals are well used throughout and give already strong choruses an extra push. The album has quite a varied range of tracks. The opening track Leap Of Faith is a breezy feel good rocker with a good tempo, whereas The Phoenix the follows is a darker, heavier and slower track. Desperate Heart provides the third change in a row, in being a first rate AOR ballad with a wonderfully soulful vocal and some fine slow guitar playing. I’ve Changed is another light uptempo rocker with a great chorus and Give Me A Chance is perfect early Richard Marx pop/rock. Take Me Home is another ballad, but more soft pop in nature. Another strong chorus helps the track stand out. Date With Destiny and Look Me In The Eyes are both enjoyable guitar fueled rockers. Once In A Lifetime is another good uptempo melodic rocker with good harmonies and a memorable chorus. Live Your Dreams is a lighter, acoustic driven number that has a certain classic REO Speedwagon/Boston feel to it. Hollywood Movie Star closes the album with one of the album’s best tracks. A passionate vocal fits perfectly into this big Journey styled storyline track that is perfect to end the album with. A very good quality album made even more impressive by the fact it’s a debut release. The sound of the album isn’t quite major label quality, but the mix is perfectly balanced and the songs are all highly enjoyable. Any band would be proud to release such a strong album and this sets Bonrud up to be one to watch over the next few years. One for the classic AOR fans out there. 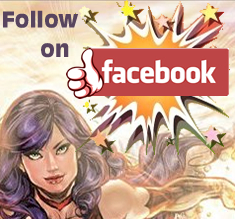 Rick Forsgren and Paul Bonrud did an interview with the Steve Price Rock Show on ARfm. The Bonrud segment featuring two of our songs and our interview starts around 20 minutes into the podcast.